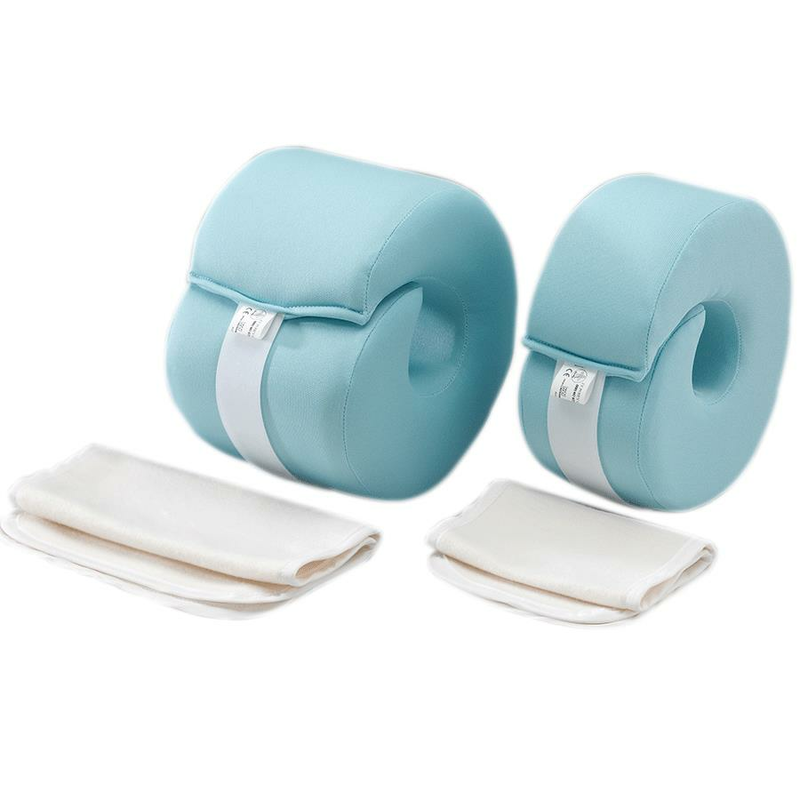 Posey Foot Elevator is a spiral cut foam ring that lifts the lower leg completely off the bed to help offload the heel and prevent and treat pressure ulcers. This circular foot elevator fits around ankle to help raise heel. - Measure the patient;s ankle circumference. - This product is designed to optimally fit patients ankle circumferences measuring between 8" and 12-1/2" (20cm and 32cm). - Wrap the liner, towel or washcloth around the ankle. - Insert the ankle through the opening in the foam and secure with hook and loop closure strap. 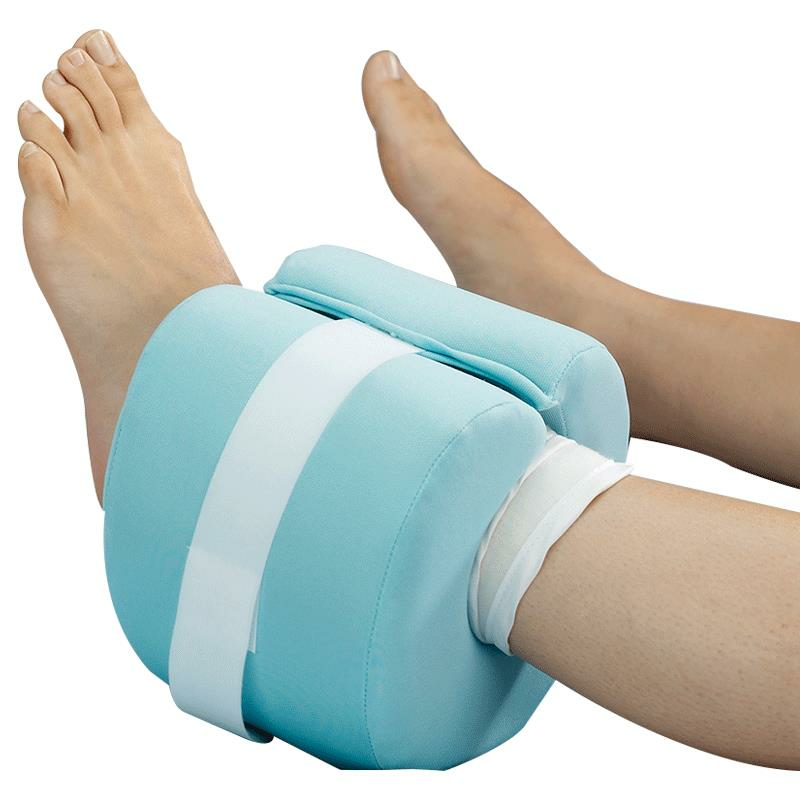 Note: To reduce pressure on the ankle and hypertension of the knee, a pillow may be placed under the patient’s knee and leg.